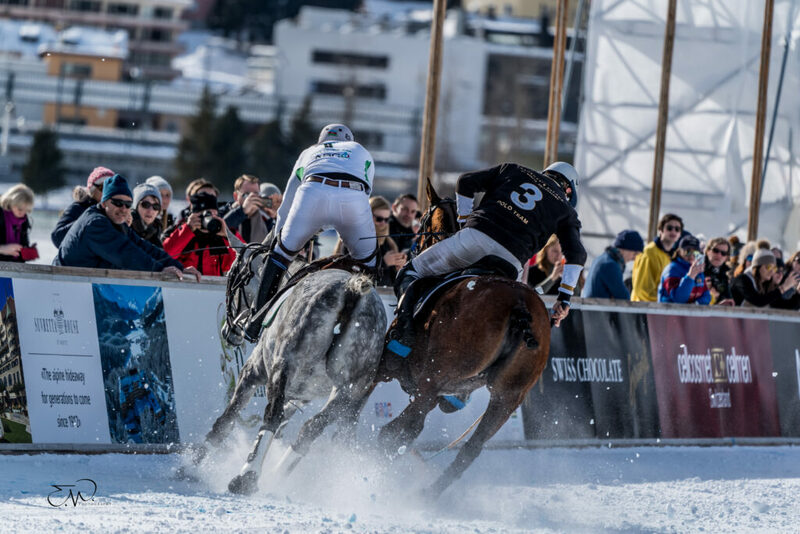 St. Moritz has played host to the world’s renowned snow polo tournament since 1985. 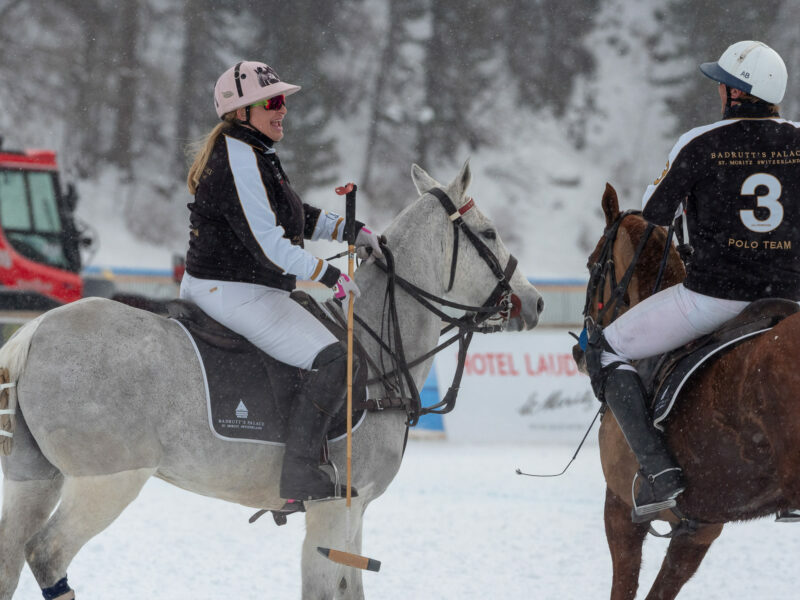 The first-ever snow polo tournament, the Snow Polo World Cup St. Moritz is the only «high goal» polo tournament played on snow. 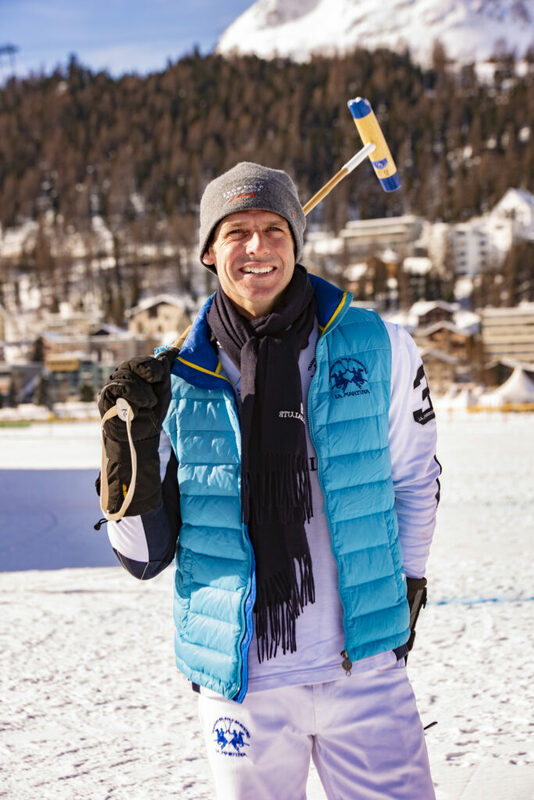 The Swiss scenery (and polo players) are nice to look at, too! 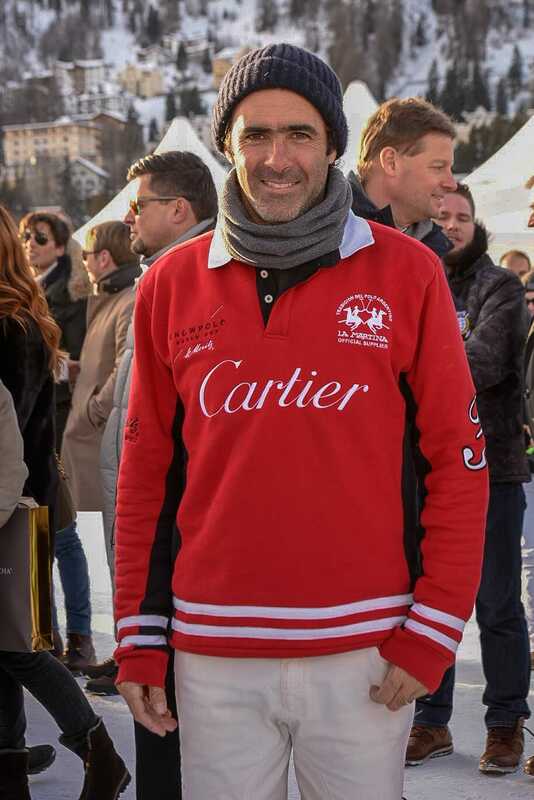 Held in Switzerland last weekend, had pretty much everything you could want from good-looking people to a posh sporting event: Hot polo players wearing ‘La Martina’ uniforms galloping along the frozen, St.Moritzsee. 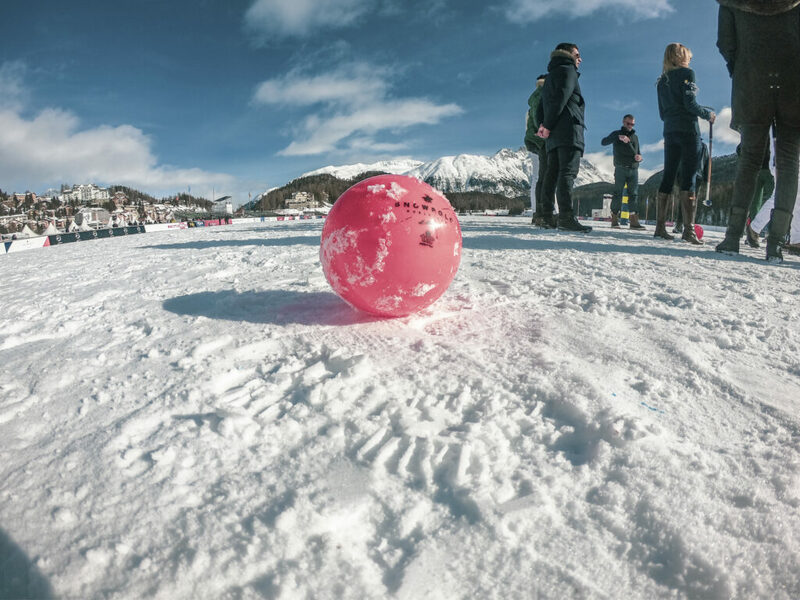 The weather was superb-despite the freezing temperatures (yes it can get as cold as -25C), bubbles of Perrier-Jouët and fluffy green blankets wrap the atmosphere in joy and excitement about the game. An exquisite gourmet food selection at the VIP tent as well as a number of social events in St. Moritz’s first-class hotels. 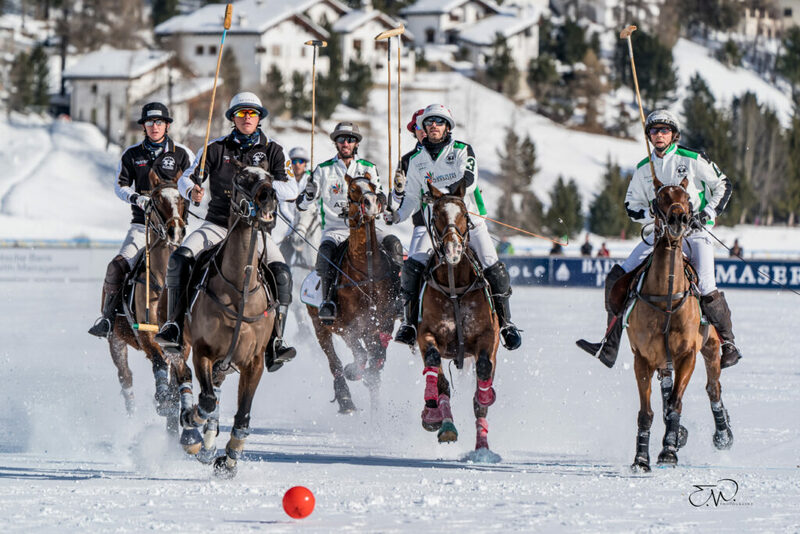 The challenge of playing on snow, the unique location at 1850 metres above sea level and the glam of St. Moritz combined make the Snow Polo tournament one of its kind. 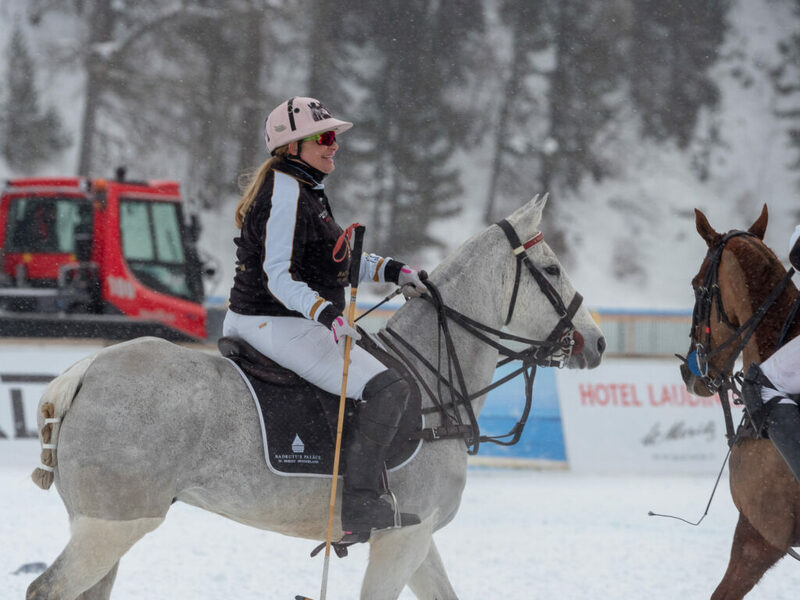 Welcome to St.Moritz, the home of snow polo! Polo has been played for more than 2600 years. It originated in ancient Persia — today’s Iran, Afghanistan, Kashmir and northern Pakistan. 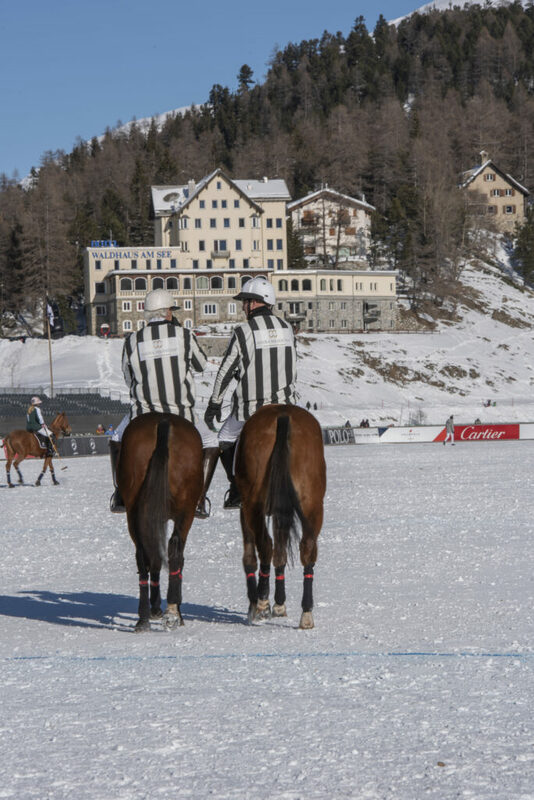 The game made it to St. Moritz around 1899 when English soldiers built the first polo field. 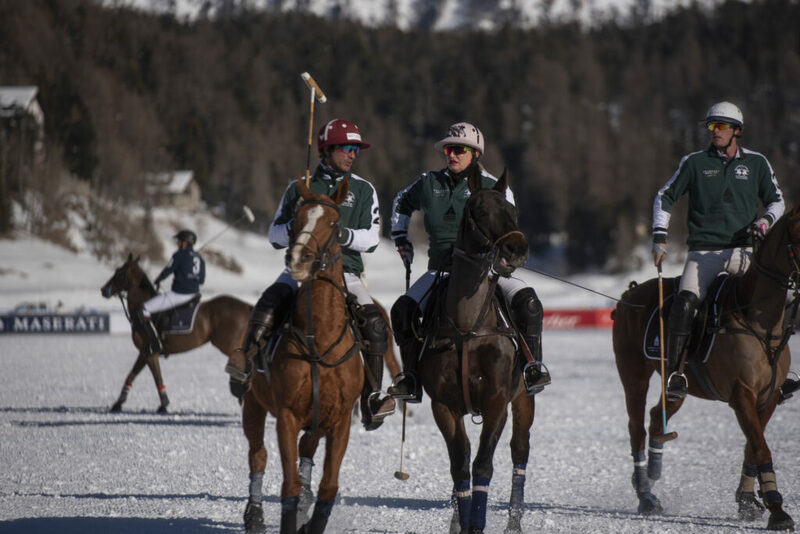 In 1959, a group of locals founded the St. Moritz polo club, and tournaments were held in the summers from 1960 to 1964. It all began in 1978 when founder and charismatic organiser, Reto Gaudenzi ‘The Godfather of Snow Polo’ was introduced to the sport in Sotogrande. 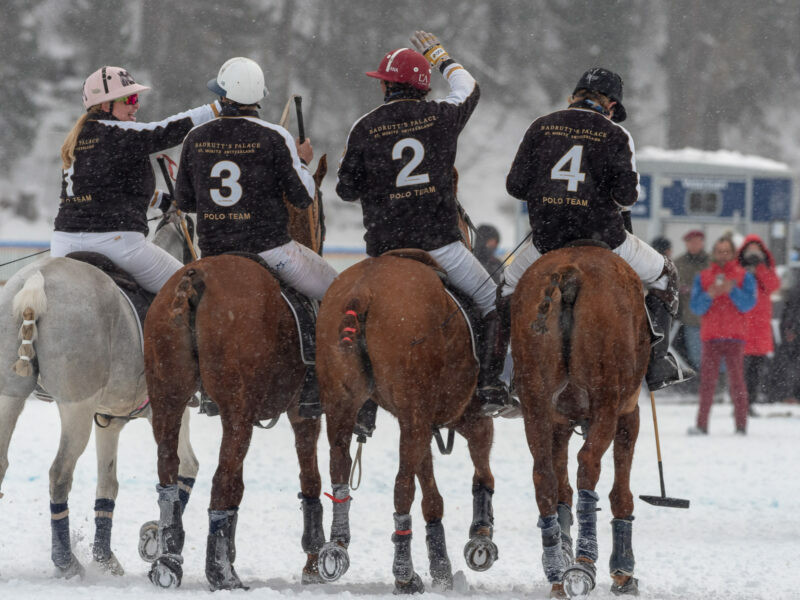 Full of enthusiasm back at home in St. Moritz, the hotelier formed the first Swiss polo team; in 1983, a Swiss team played an international match for the first time. 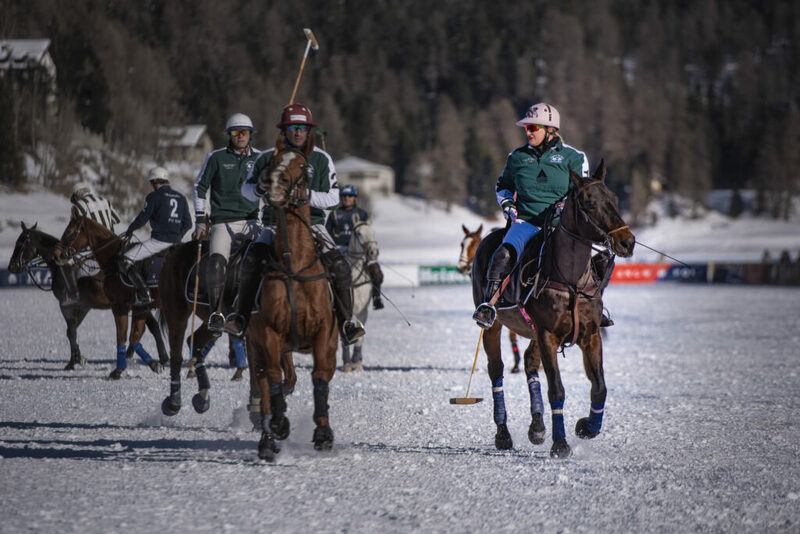 1985 saw the world premiere of a polo tournament on snow on the frozen lake of St. Moritz. with Cartier as sponsors and continues to do so to this day. 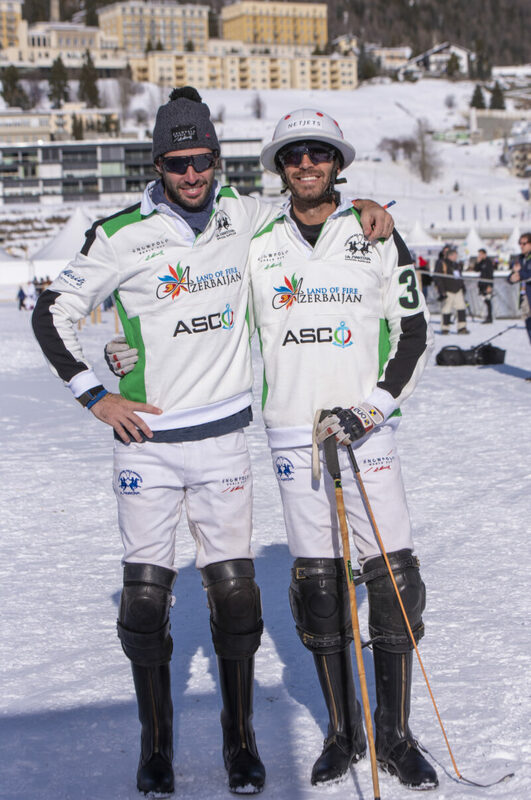 This magic of snow polo formula has been copied across Europe ( in Megève, Val D’Isére, Kitzbühel, Cortina D’Ampezzo and Klosters to name a few) and around the world: in Aspen, China, Russia and more recently Argentina. 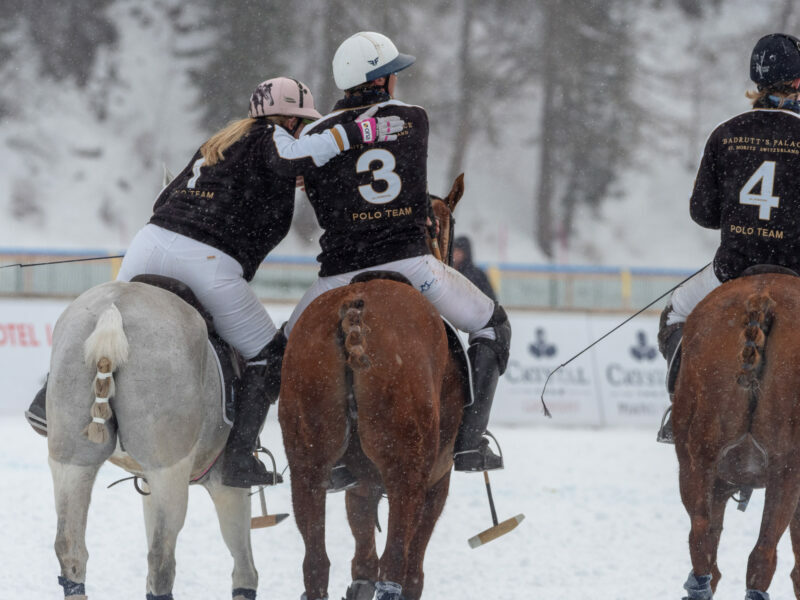 On the last weekend in January 2019, four high goal teams competing for the Cartier Trophy taking place on Sunday in the frozen lake of St. Moritz. The three days of tournament gathered more than 18,000 spectators. Pure emotion and tradition! 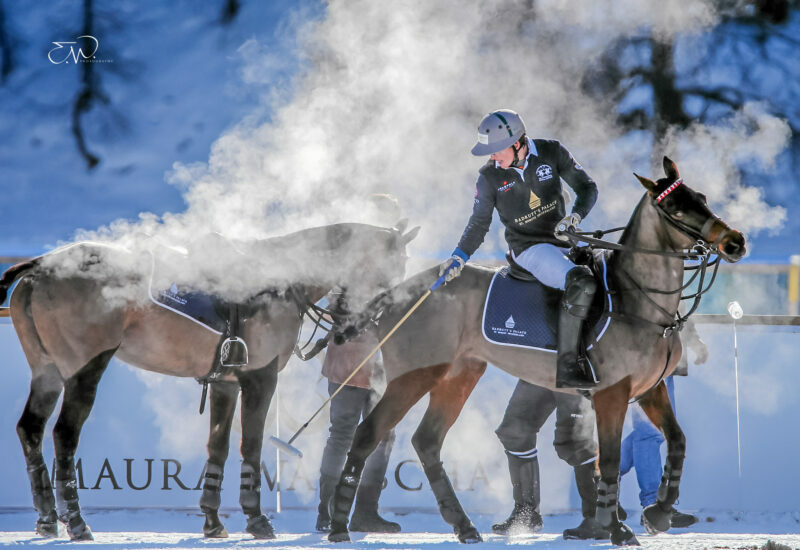 Badrutt’s Palace (Melissa Ganzi, 0, Juan Bautista Peluso, 0, Alfredo Bigatti, 8, Alejandro Novillo Astrada, 8) won the Cartier Trophy for the first time in the hotel’s competition history. 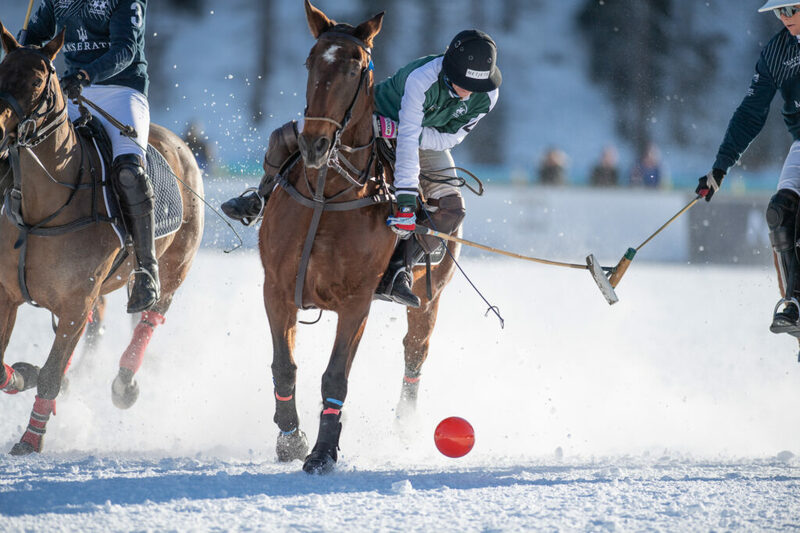 Making her fourth appearance in the only high goal polo tournament played on snow, the team captain Melissa Ganzi became the first woman to win the tournament and was named Best Playing Patron. 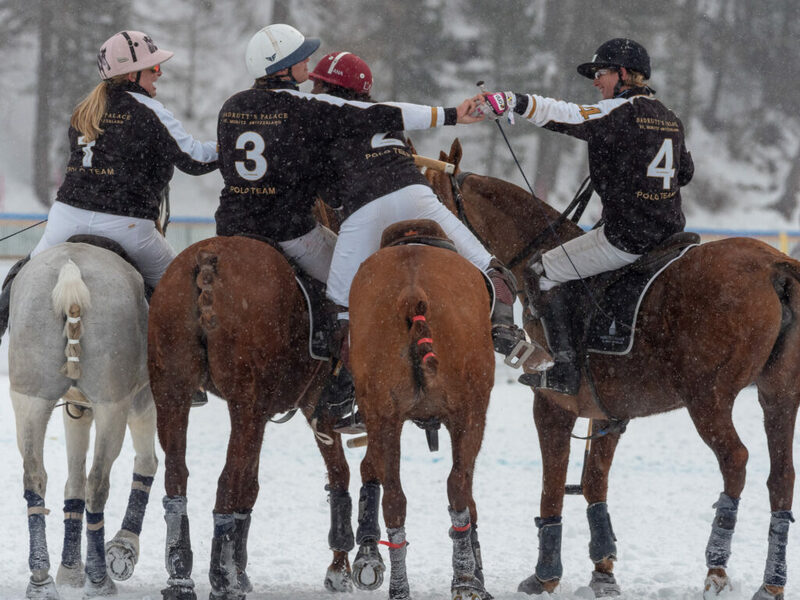 Once upon a time… there was an American lady polo player who loved snow. Aspen, Kitzbuehl and St.Moritz..she conquered all! Melissa Ganzi, the Snow Queen! She is the First lady making history several times in the polo sport. 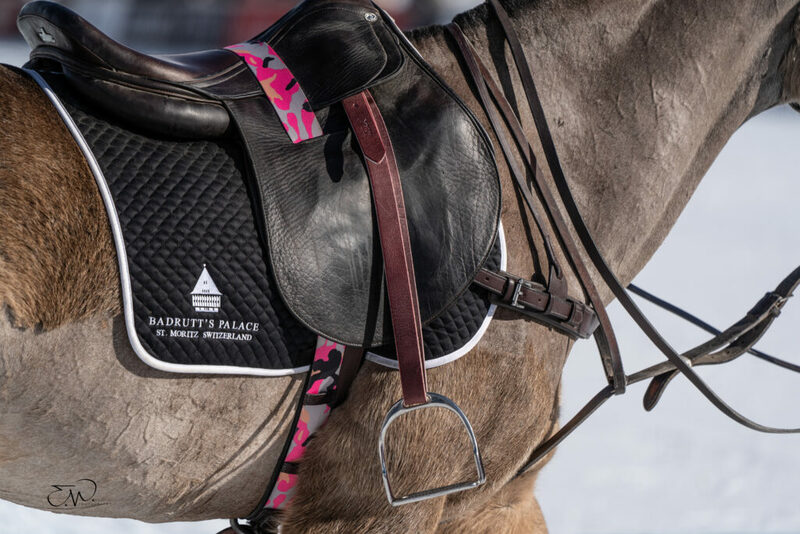 A snow polo intrepid, she has plenty of experience, spending winters in Aspen, Colorado where snow polo is held exclusively. 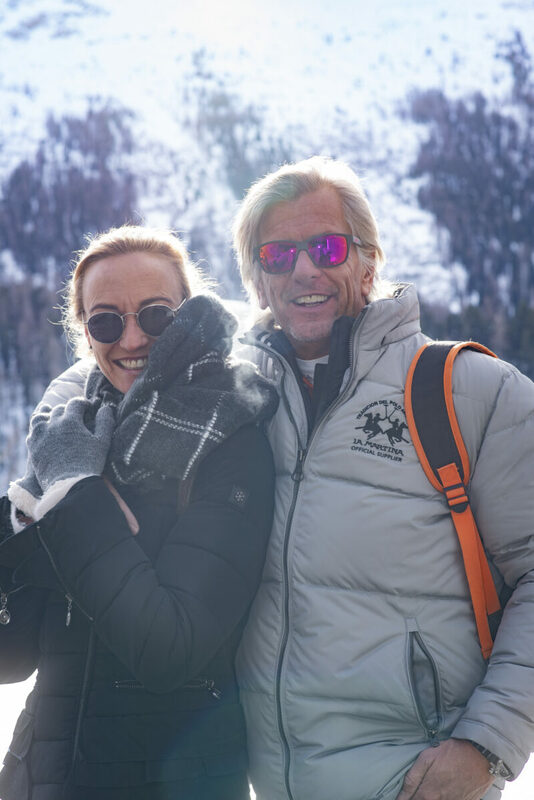 Since Marc and Melissa Ganzi founded the club in 2014, polo has increased in US popularity. Melissa Ganzi grew up in Philadelphia, riding horses and competing in equestrian events. But it wasn’t until 2000 when her father-in-law and polo player Wally Ganzi bought Melissa her first polo pony for her birthday that she found her true passion.The love for horses lies in her blood. She plays professionally with and against men and is team captain of Flexjet, at Wellington’s Grand Champions Club, which she and her husband, also own and maintain all year-round. When she isn’t competing, Ganzi is all about polo diversity. Her vision is that polo becomes a mainstream event and fully promotes the sport among women and kids. She breeds and trains polo ponies at her Santa Rita Polo Farms in Ocala and Wellington. Among her horse-buying clients is Argentina’s Adolfo Cambiaso, the world’s No. 1 ranked polo player. Ganzi was the first woman to make the final in 2017. 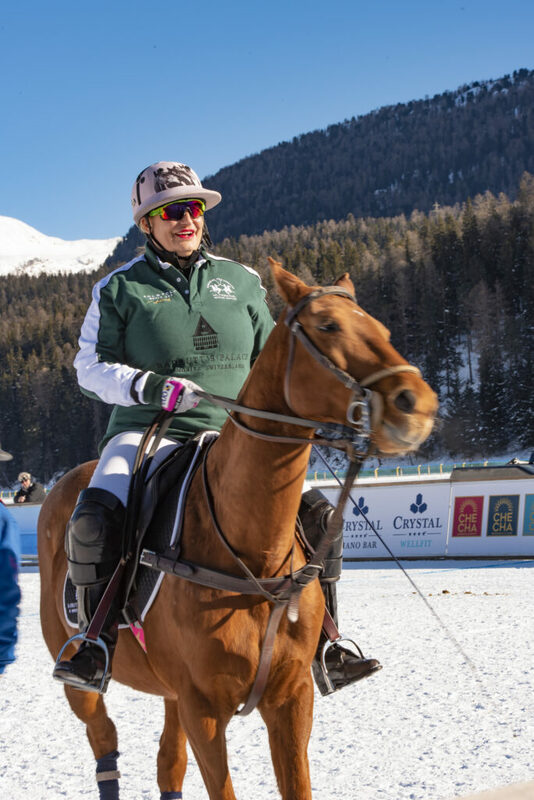 She is also the first woman to win the St. Regis World Snow Polo World Cup in Aspen for Flexjet in 2016 and 2018 Bendura Bank Snow Polo World Cup. 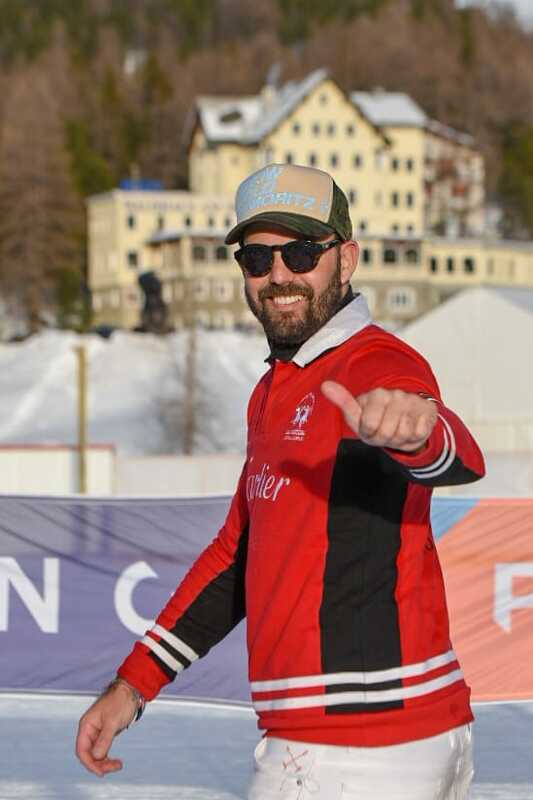 Melissa is a popular guest at the Snow Polo World Cup St. Moritz where she performed this year again as a team captain for the fourth time. 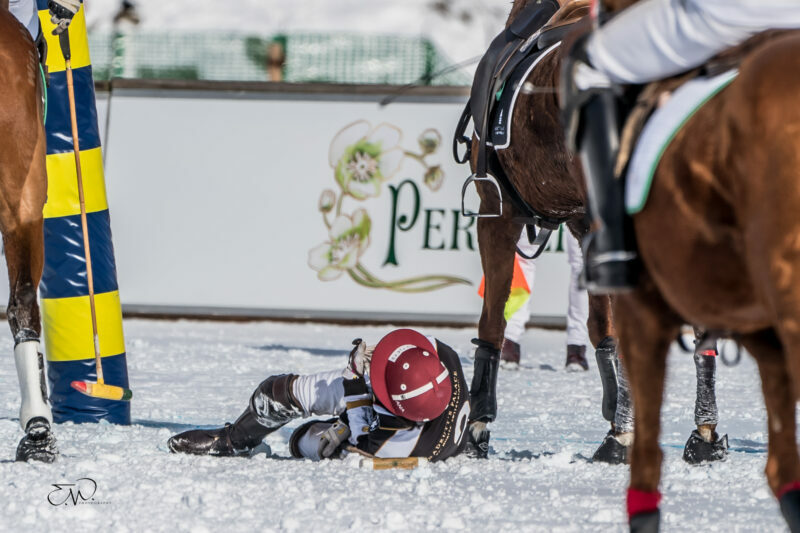 Her target was to reach the crown of the most prestigious polo on snow tournament in St. Moritz and she did it! Photos by Jeannette Johanssen, Nils Rustmann, Edo Mainetti, Kathrin Gralla and Fotoswiss.